Did you have a chance to hear DJ Clay? For about 45 minutes, Clay Aiken helmed the radio waves by hosting a show on Siriusly Sinatra, a station on SIRIUS Satellite Radio. Clay seemed to be having a good time and was an excellent DJ with impeccable musical taste. He played songs from Frank Sinatra to Lena Horne, Barry Manilow to Michael Buble, and even included two songs from his new CD, Tried & True. The highlight of the show for me, was Clay’s recording of What Kind of Fool Am I. The song fit in so well with the other songs on the station, yet it was just a bit brighter and just a bit more exciting. Between Clay’s awesome vocals and the wonderful orchestration, this recording should be a hit for many years to come. It took a lot of assurance from Clay to play his wonderful recording of Moonriver and follow it with a recording of the same song by Frank Sinatra. It was a brilliant move on his part as both arrangements had something special to give to the listener. DJ Clay was awesome. Don’t get any ideas Clay….we love hearing you talk, but love hearing you sing even more!! His stint on “Playing Favorites” was warm & personable. He also has a nice way with a ballad. Hope he has a long and successful career! This visit to Siriusly Sinatra was a great PR move. It gave Clay a chance to talk about his own CD and show that he knew a great deal about the top singers of the genre. I hope he has the opportunity to do more things like this. June 15th is Smile Power Day. Feel the power. Give everyone you see a big, friendly, “I like you” smile. You never know, you’re warm smile just might turn someone’s day right around…for the good! Love may make the world go round. But, a smile makes the world a happy place. A smile is a powerful thing. Best of all, it’s contagious. However, we do note that in order to be effective, a smile must be sincere. People can see right through phony or forced smiles. Spend the whole day with a big, bright smile on your face. Flash a toothy smile to everyone you encounter. Did you know? It’s easier to smile than to frown. A smile uses fewer muscles. 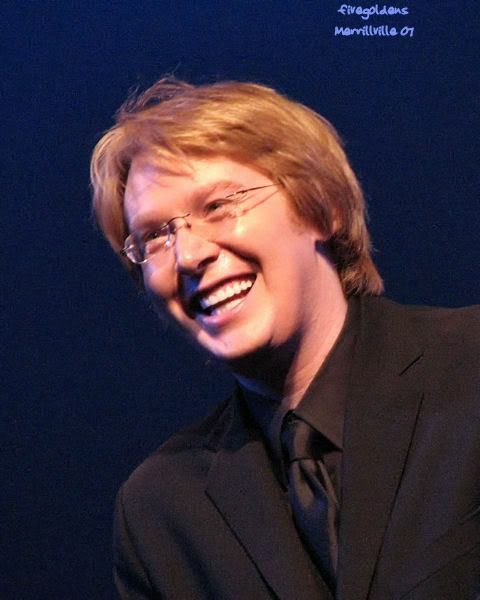 Clay Aiken has one of the best smiles around. His smile always makes me feel better. What a thrill to get into my car right at 6:00 and hear his voice. And what a thrill to see the name CLAY AIKEN on the little screen in my car!!! I have waited years to hear that man on the radio and I was not disappointed. Hope it's just the start of hearing more of him–it just might get me to listen to the radio again. I listened to Siriusly Sinatra last night, and Clay was really, really great on it. You can tell that Clay loves this style of music. It's such a wonderful fit for him. It's true…that it takes a lot of courage to put your own music up, and to follow it with Frank…. Nicely done!!!!! When you listened to the songs…how wonderful it is that Clay doesn't sound like anyone else… He stands alone. His voice is distinctive…and for me..still the best there is. Clay Aiken is a born talker and did a great job on the Siriusly Sinatra yesterday. I'm glad he play a couple of his songs from his new T&T CD. His voice can stand side by side to all the singers he spotlighted. 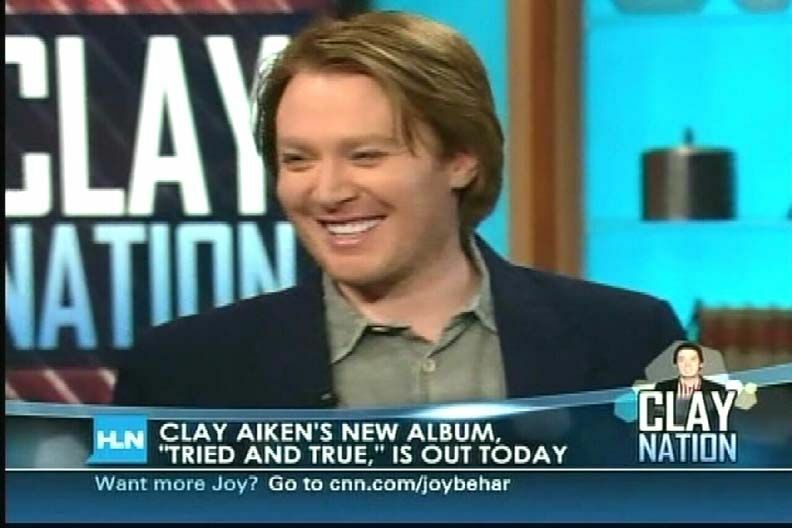 Clay Aiken is a natural on radio. He did a smashing job as a dj and is so multitalented. His smile is contagious!! Clay really compares very favorably with the classics that Sinatra sang. All the artists were unique, but Clay's voice is stellar. I seriously enjoyed sirius!! Clay seemed right at home behind the microphone as guest DJ. One step closer to getting his own TV or radio show one day. Error: Error validating access token: Session has expired on Tuesday, 21-Aug-18 16:13:01 PDT. The current time is Thursday, 25-Apr-19 23:06:58 PDT.